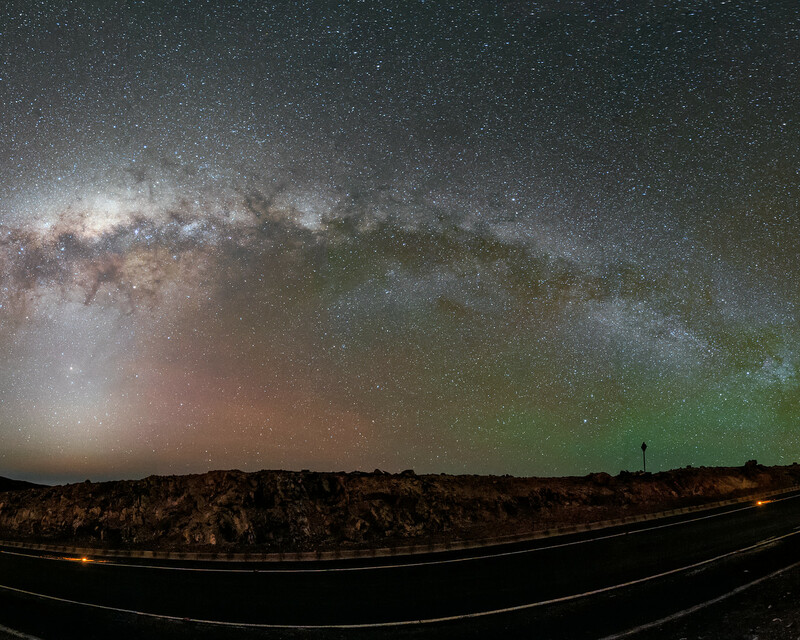 In this beautiful panorama the Milky Way streams over two of ESO's flagship facilities. 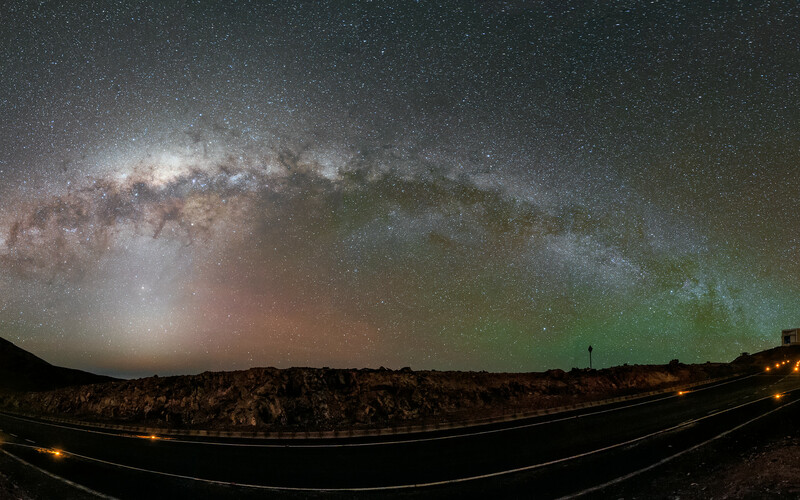 You may never be able to reach the end of the rainbow, but in this image we know what is at either end of the Milky Way — on the left is ESO's Very Large Telescope (VLT) and on the right, VISTA. The 4 Laser Guide Star Facility (4LGSF) is in operation reaching out of the frame, correcting for atmospheric disturbances. 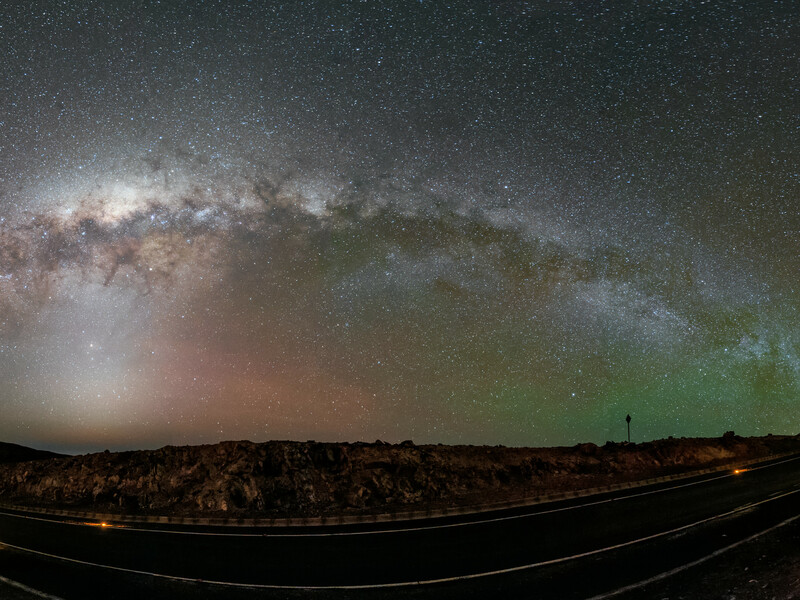 The large and small Magellanic clouds can be seen to the left, and green airglow tints the skies around VISTA and the Andromeda galaxy to the right.